The Macafe’s customer from the Sylt Island, Ivonne and Mario Witt, running the Crêperie am Meer, donated the whole money amount needed to purchase the first mule. 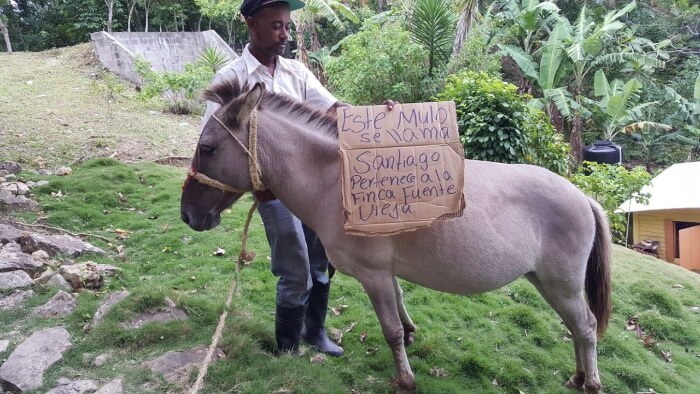 Their only request was to call the mule SANTIAGO. In the meantime the mule turned out be a great worker and helps the staff to fulfill their tasks.